Victoria’s Taxi Services Commission has ordered 24 wheelchair taxi operators to pay their outstanding license fees or hand back their plates next Monday. The operators claim they have racked up impossible debts and are taking the TSC to the Victorian Civil and Administrative Tribunal to stay the matter. Some of the leaseholders are East African migrants with limited skills and large families. The men each leased a 10-year wheelchair taxi licence from the state government in 2010 for more than $28,000 a year as part of a big boost to Victoria’s fleet of wheelchair-accessible taxis, but have never earned enough income to meet repayments. Taxi operator Muhyedin Aliye, 36, one of the operators taking legal action, said he simply wanted more time to pay his debt. “We don’t want to be rich, we just want to pay the bills so we can raise our kids,” Mr Aliye said. In a statutory declaration submitted to VCAT, Mr Aliye said his taxi was the sole source of income for his family of six, earning him about $8000 a month. His expenses, including paying a bailee driver 55 per cent of the farebox, came to about $7500 a month. Time to put away the violins. Anyone who has has the misfortune to hire one of these custom designed wheelchair vehicles for a regular taxi journey will have endured a noisy, uncomfortable and unpleasant ride, all the while wondered whether they are denying mobility to a disabled person. Wheelchair taxis attract a concessional license fee from a big-hearted government wishing to bring mobility to disabled citizens. 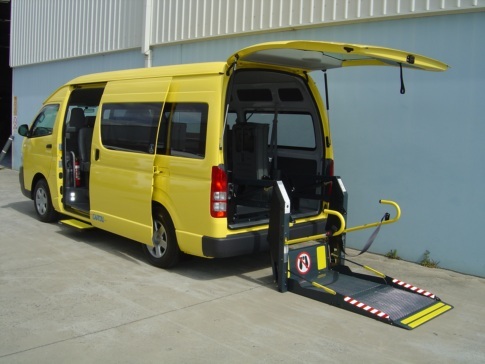 However, Taxi Services Commission chair Graeme Samuel says all but two of the 24 operators rarely serviced passengers in wheelchairs, instead plying the Melbourne Airport trade where the returns are higher. For a very long time, taxi licenses have been a profitable rent-seeking game. Fares are set well above costs, with the difference going straight into the pockets of license holders. Successive Victorian governments have worked to reform taxi licenses to end the free ride on the back of over-charged users and this matter is just part of a rent-seeker debate that has been going on for years. Mr Alyie above is loose with the truth in asserting he makes $500 a month from his taxi. He could lift his income substantially by driving the vehicle himself – the point of taxi licenses. If Mr Alyie’s argument is that he cannot make a return on the license lease of $18,813 a year, Mr Samuel has a solution for him: give the plates back and move on. His large family will already be receiving generous family assistance measures and will not want. Taxi users should be angry at being the victim of a scam obliging them to travel in discomfort so some ‘entrepreneur’ can enjoy a concessional license fee. And regular license holders ought to share that anger – their rent-seeking activity is being topped and captured by a sub-group, all in the name of mobility for the disabled.